Recall some romantic vintage style...... a homage to Chanel. 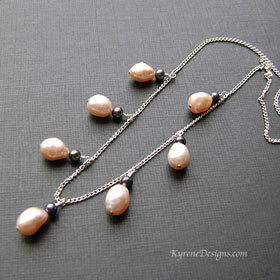 Such pretty naturally pink cultured pearls, accented by black pearls, all meticulously handwired into a sterling silver chain to create this stylish necklace. Length: 17 inches. 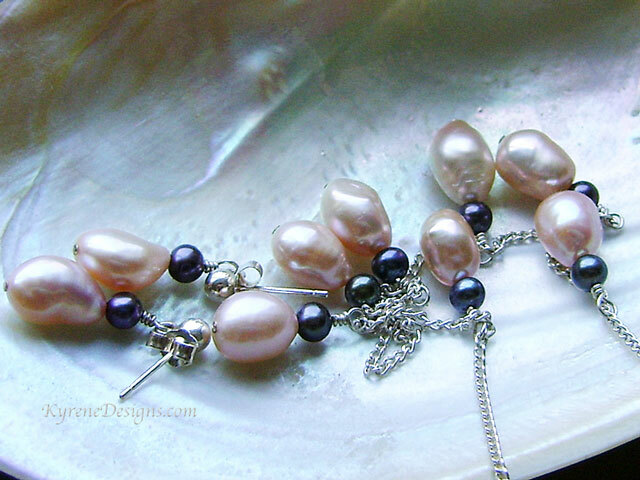 Pearls 10-13mm; 4mm. Sterling silver lobster clasp and 2" extender.